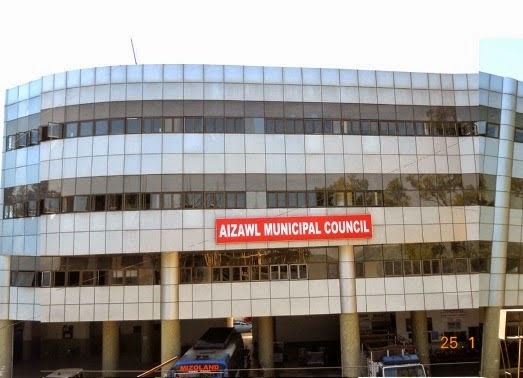 Aizawl, Feb 11 : A voice vote taken from its 19 councillors on Tuesday resulted in a third change in the leadership of the Aizawl Municipal Council even before the body completed its first term. There are barely six months left before fresh elections are scheduled to be called. Tuesday’s vote by the councillors was administered by ruling Congress MLA R Vanlalvena. The results saw the reinstatement of former chairman C T Zakhuma while sealing the demise of Zarzoliana, who was chairman for roughly six months. The change in leadership follows a coalition between the Congress and the Mizoram People’s Conference against the Mizo National Front and the Zoram Nationalist Party. The Congress and MPC had inked a pact last week and the parties’ councillors last week submitted to the Aizawl Deputy Commissioner that then incumbent Zarzoliana no longer enjoyed the support of a majority of councillors. The Congress and ZNP had been bedfellows when the current set of councillors was elected to the municipal body in 2010, together claiming majority as they held 10 seats out of 19, relinquishing the MNF and MPC to play an oppositional role with the remaining nine seats. The coalition collapsed last July and Zarzoliana was made chairman after gaining the support of a majority of the three state parties, of whom two make up a weak 6-member opposition against the Congress’34 legislators in the state assembly.